Every day, teachers face challenges with including students who are inactive participants in the classroom. Such challenges may involve social difficulties – such as shyness, disruptive behaviour or social exclusion by classmates – or lack of motivation to learn and low academic performance. Teachers are generally positive toward using different types of games for supporting at-risk students in the classroom (Takeuchi and Vaala 2014). Similarly, research has shown how online gaming behaviour may result in strong social ties and a sense of belonging, especially when gaming activities are combined with offline friendships (Domahidi et al 2014). This raises an important question, which is the focus of a recently published study (Hanghøj et al 2018) I conducted together with colleagues: Is it possible to encourage social and motivational inclusion of at-risk students through the use of multiplayer video games in the classroom? The study is based on the ‘school at play’ approach, which combines the use of complex video games such as Torchlight II, Lord of the Rings Online and Black and White II with game-related assignments, analogue gamification tools and reflective dialogue (see skolenispil.dk). Based on positive experiences from a pilot study, we initiated a research project that explored how to use the school-at-play approach within the context of secondary education (age 9–12) in mathematics and Danish. Eight classes from four different Danish schools participated in the intervention, giving a total of 190 students. For each class, we identified four at-risk students with social and motivational difficulties. The 32 at-risk students were identified through a combination of teacher interviews conducted by researchers prior to the intervention (which focussed on how the teachers perceived their students’ well-being and motivation to learn), existing knowledge of student diagnoses (if any), and observations of the eight classrooms before the interventions. Each intervention consisted of three-week teaching activities in all Danish and mathematics lessons combining the game Torchlight II, associated mathematics and Danish assignments, and classroom gamification. The co-op action role-playing game Torchlight II was carefully chosen for the intervention as it allows players to collaborate in teams against computer-generated monsters. The game was set to the highest level of difficulty (‘elite’) in order to make the game so challenging that the students were more or less forced to collaborate in order not to die and to progress together within the game. The participating teachers were prepared for the intervention through two whole-day workshops, in which they played Torchlight II and learned to use the game tools of the intervention. The mathematics teachers were instructed how to identify basic game mechanics within Torchlight II such as attack patterns, damage-per-second, different types of healing potions, and how to use in-game problems as meaningful contexts for mathematics assignments – for example, how to use mathematics to help decide which healing potion to use when under attack. Similarly, the Danish teachers were introduced to the genre aspects of the action role-playing game, and instructed on how to create assignments that allowed the students to write game guides and character analysis based on their game experiences. The intervention was based on a parallel mixed methods design, which allowed the combination of a repeated measures effect study with classroom observations and student interviews. The effect study involved teacher assessments of the students’ social participation and academic performance both before and after the intervention, as well as measurements of the students’ motivation using the Children’s Perceived Locus of Causality scales (Pannekoek et al 2014). The main finding was a significant effect in terms of increased social participation for the at-risk students in comparison with their peers. In the interviews, the at-risk students strongly emphasised the value of collaborating with their classmates against the computer, solving conflicts and developing new friendships. Moreover, we found a major decrease in external regulation for the at-risk students, which means that the intervention lessened the experience of pressure for taking part in the subjects compared to the pre-measure. However, the student interviews also showed that some of the game-related assignments were experienced as being more meaningful than others. This calls for further research on how to successfully align the framing of games with curricular aims. Based on the positive findings from our study, we strongly recommend that other educators use co-op games as pedagogical tools for creating playful and socially inclusive classrooms. They can level the playing field and position at-risk students as active participants overcoming shared challenges with their classmates. Thorkild Hanghøj, Andreas Lieberoth and Morten Misfeldt’s original article in the British Journal of Educational Technology (BJET), ‘Can cooperative video games encourage social and motivational inclusion of at‐risk students?’, can now be read freely online until 31 August on Wiley Online. Working as an associate professor at Aalborg University in Copenhagen, Thorkild Hanghøj has conducted several research projects on how to link digital and analogue games with curricular aims. His main research interests are games and literacy, game-based teacher roles and the use of games for furthering inclusive education. 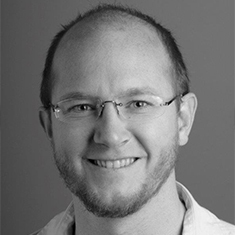 Moreover, he is co-directing the Center for Applied Game Research at Aalborg University. Thorkild can be contacted at thorkild@hum.aau.dk.